Our Nursery and Kindergarten classrooms lay a foundation of beauty and creativity for the young child. 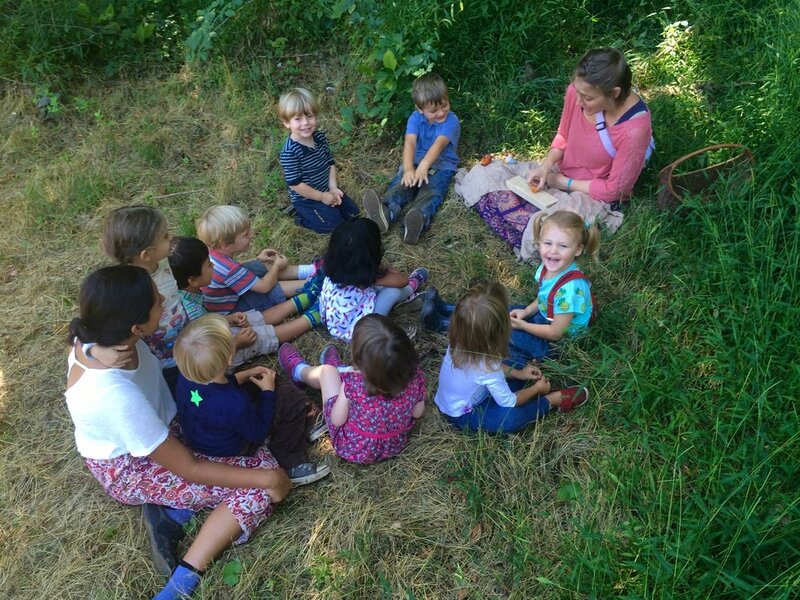 Children engage in songs, stories, puppet shows, rhythmic games, dramatic play, outdoor play, and nature walks. These activities cultivate language, memory, imagination, fine and gross motor skills, coordination, and concentration, and set the stage for academics and problem-solving in the grades. A typical day begins in the play yard, followed by more outdoor time: a short walk for animal care or creative play in the forest. Once they are back inside, the children engage in imaginative play with dolls and toys made of natural materials. 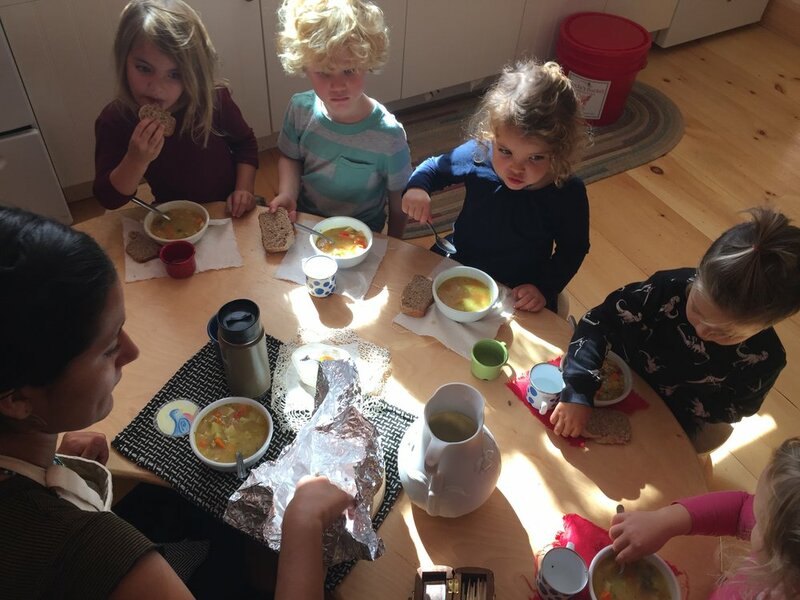 They help prepare an organic snack, then participate in circle songs, games, and finger plays. Stories come to life with puppet shows and lyre music. The afternoon program offers a lunch period, rest, and additional indoor and outdoor playtime. Afternoon program is available only to children enrolled in the Morning Program. Shooting Star children must be 3 years old by October 1. First-grade-ready children will have turned 6 years old by June 1, prior to entering 1st grade.